Marvin Feddes entered the joyous presence of Jesus on Sept. 19, 2017, at age 87. God blessed him with health and energy until the very last hours of his life. 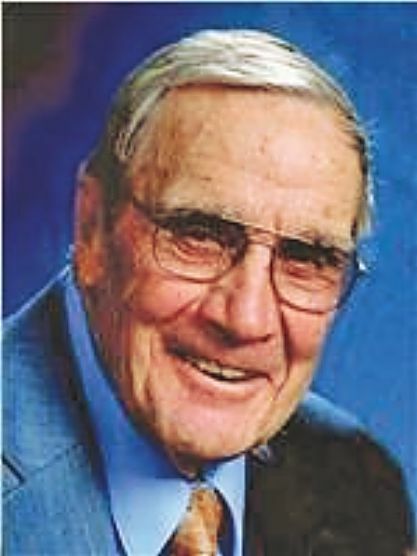 Born May 15, 1930, the youngest son of Jacob and Lena Feddes, Marv grew up in a Christ-centered home. Aside from military service, he was a lifelong rancher in the Gallatin Valley. He was engaged to Nellie Izenbaard in 1950, but their wedding was delayed for three years while he was in Germany with the United States Army. Marv and Nell were married on Aug. 14, 1953. Marv and his oldest brother, Neal, became ranching partners in the 1950s and established Feddes Herefords near Manhattan. The cattle gained a stellar reputation and sold to herds across America and in other countries. In recent years, sons, Dan and Tim, took over management of the herd, but Marv continued to help. He loved driving through pastures, distributing nutrients, and making sure the cattle were all healthy. Marv's love reached far beyond his family. He was a charter member of Bethel Christian Reformed Church and served as an elder or deacon for many years. He worked to relieve poverty locally and served in disaster relief efforts with World Renew and the American Red Cross. He was generous with people in need and visited countless people at the county jail and state prison. Because Marv had experienced Jesus' love and forgiveness, he shared that love and forgiveness with people convicted of crimes. He believed God could rescue and transform anybody. His favorite song was "Amazing Grace." Marvin is survived by his wife of 64 years, Nell, and their children, Michael (Renee), Dan (Robyn), Tim (Tami), Marvanne (Dwight) Logterman, David (Wendy), and Paul (Deb); 27 grandchildren; nine great-grandchildren; and his sister, Lee Venhuizen. Marv was preceded in death by brothers, Henry and Neal; sisters, Alice Huttinga and Nellie Cole; and granddaughter, Rebekah Feddes. Visitation was Sunday, Sept. 24 from 4 to 6 p.m. at Dokken-Nelson Funeral Service. Graveside committal was Monday, Sept. 25 at 10 a.m. at Churchill Cemetery with memorial services to follow at 11 a.m. at Bethel Christian Reformed Church. Memorial gifts may be sent to Bozeman Prison Ministries, P.O. Box 6281, Bozeman, MT 59771 or Christian Leaders Institute, 17771 West Spring Lake Rd, Spring Lake, MI 49506.